Ginger is a compound that often takes a backseat to other compounds, like turmeric, that is known for their anti-inflammatory properties and therefore overshadow it. But the thing is, ginger is extremely efficient at reducing inflammation in the body, just as much as turmeric. (Check out Thomas DeLauer’s evaluation of ginger versus turmeric by clicking here…) In fact, ginger has the ability to turn off nuclear factor kappa B, which is responsible for over 400 types of inflammation in the body. So when we shut off nuclear kappa B, we reduce a significant amount of inflammation and the negative effects that go along with it. Ginger contains something known as gingerols. These are a natural appetite suppressant, but they also help out leptin levels. Leptin is the communication between your fat cells and your brain. If you have higher levels of leptin, it tells your brain you have more fat on hand so the body is ok with burning it. So more ginger in your system turns your brain into a fat burning machine! When you just eat a bit of ginger or add the powder to your food, you aren’t actually absorbing it. It’s highly water soluble, which it makes it so that your body excretes it quickly. That’s why PuraTHRIVE decided to empower it by harnessing the power of a liposome and a micelle. This is a powerful technology that gets nutrients that are difficult for your body to absorb, safely into your system where they can be put to immediate use. Whenever you have any kind of fat in the body, it has to be emulsified. If you put oil in water it doesn’t mix, unless you emulsify it. 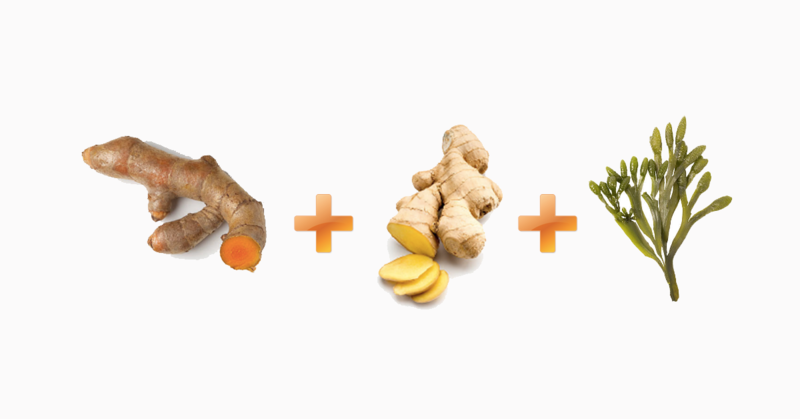 So, micelles act as a carrier that converts the ginger and ultimately ensures it’s absorbed into the body. 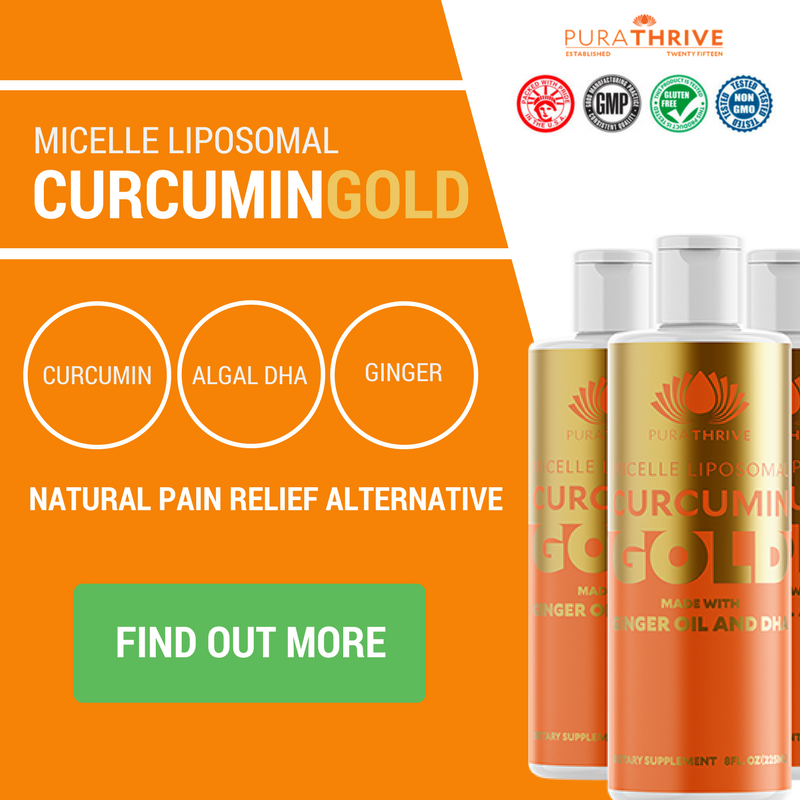 What we at PuraTHRIVE have done is taken a micelle and put ginger inside it. We’ve made it so that ginger can go through the intestinal tract and be absorbed in the bloodstream and delivered directly to the cell. Then, we put that micelle inside a Liposome. A liposome is a carrier that allows the nutrient to go through the digestive system without getting damaged by the stomach acid. Not only that, but in Curcumin Gold you’ll find ginger, curcumin, and DHA from algal oil – making for a potent formula that combats inflammation and pain, supports heart and brain health and boosts your immune system. With an impressive formula like this, it’s easy to see why PuraTHRIVE guarantees their products!